We are proud to announce that our next Grand Prix Quiz event is on Saturday 3 December near Burton-upon-Trent. This Grand Prix is our annual 'British Open', for which we will be joined by a number of quizzers from around the globe! A special effort is being made to ensure the quiz is accessible as well as entertaining. Entry: £25, lunch provided, £12.50 for first time attendees. The evening before and after the event will provide further opportunities for people to get together and socialise, and, er quiz. There is a nearby pub serving excellent real ale that has a quiz on a Friday night (I’m a regular). I’m sure Derek the landlord would welcome some more people! Further details to be announced after (typically ad hoc) arrangements are made. Located just north of Burton-On-Trent, a mile or two from both the A38 and A50 main trunk roads, Rolleston on Dove is the quintessential Old English village, complete with thatched cottages and a babbling brook, The Dove no less, running through it. An interesting venue, the Commemoration Hall, designed by Arthur Eaton of Derby, was opened in 1897 to coincide with the Diamond Jubilee of Queen Victoria. It stands on the east side of Burnside. A lounge bar was added in 1965 and it has been known as Rolleston Club since 1971. It was renovated and extended in 1974. Rolleston was formerly the location of the ancestral home of the Mosley family, prosperous landowners around these parts. It was in Rolleston Hall that the notorious fascist Sir Oswald Mosley was born in 1896. The hall was sold by auction in 1923 but later burnt down. All that remains are the lake and gatehouse. The family’s coat of arms are displayed in the club. Real ale fans will know that Burton is the home of brewing. In addition to the club’s regular fare, which includes ales such as Marston’s Pedigree, Bass, and HSB, the steward is seeking to lay-on some additional real ale from a local micro brewery! For many years the prison of Mary Queen of Scots and the hub of a Royal Stud owner by Charles II. The castle is leased to, and run by, TV ‘historian’ and ghost hunter Lesley Smith. As well as being visited by Mary Queen of Scots and Oliver Cromwell’s forces, Tutbury has a number of claims to fame. In 1831 two workmen discovered 5000 silver coins in a single day (eventually some 100,000 were recovered) all from a haul believed to date from the reign of Edward II and attributed to the treasury of the rebellious Thomas, Earl of Lancaster. In November 1944 the nearby Fauld depot became the site of the largest ever explosion in the UK, when 3,670 tons of bombs stored underground exploded en masse Only three larger blasts were recorded during WWII - those at Hiroshima, Nagasaki and the New Mexico Tests. Afterwards a crater, half a mile across and 100 feet deep was left behind. Tutbury itself has a number of other attractions. Cut glass has been manufactured here for many years and a tourist trade has built upon the long and distinguished history of the Norman Priory Church and medieval castle, and some fine Georgian and Regency buildings. 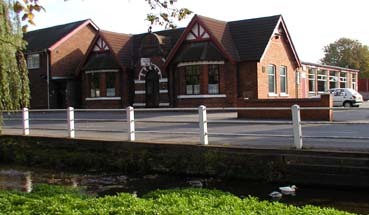 There are antique and craft shops in the village as well as a factory shop at the Georgian Crystal glassworks. Unfortunately, the Tutbury Crystal factory has now closed although they still have a shop on Tutbury High Street. Visit the Discover Tutbury website for more information. The National Brewery Centre is a world-class museum and visitor centre that celebrates Burton upon Trent's proud brewing heritage and it's influence on brewing techniques throughout the world. People without their own transport who are planning to visit the museum might consider the Three Queens Hotel with its new, lodge extension in Burton for a stop-over, since it is in walking distance of the museum, and across the road from the Burton Bridge brewery and Inn! Museum showing aspects of the life of children over the past 200 years. Attractions include the magnificent cathedral, homes of Dr Johnson and Erasmus Darwin and the new David Garrick Theatre. Experience the age of elegance in this neo-classical house built between 1759 and 1765 for the Curzon family and little altered since. Brookhouse Hotel: The nearest accommodation to the venue, just a few minutes walk away. It’s a bit pricey but then there is ‘silver service’ in the restaurant (menu includes Lobster Thermidor, quail, veal, Chateaubriand, and venison). Anyway, we have negotiated a substantial discount for you. If when you book you mention the quiz then the single B&B rate is £49 a night (down from £82) and a twin/double is £69 (down from £92). Dovecliff Hall Hotel: located between Rolleston and the A38, just over a mile from the venue. Set back from the road, this is an elegant Georgian House dating back to 1790, sitting in seven acres of gardens adjacent the River Dove. The hotel has 15 bedrooms. Once again, it’s anything but cheap but there are usually special offers to be had. Ye Olde Dog & Partridge: 2 miles away in Tutbury centre. High St, Tutbury DE13 9LS. This is a large and popular pub with Chef & Brewer restaurant based around a 15th century coaching house. The latter has rooms available for B&B with (allegedly) ghosts thrown in at no extra charge. They have nine bedrooms, free wifi, and ample parking. Part of the Good Night Inns group the Dog & partridge has been offering 3-course Dinner B&B (continental breakfast) for two in an en suite room for £85. Woodhouse Farm Bed & Breakfast: just outside Tutbury village, looking down over the Dove Valley. From the crossroads in the centre of the Village (by the Post Office), just head out past the castle (on your right) and you will find them on the left about half a mile from the village. Castle Hotel Station Road, Hatton DE65 5DW (between Tutbury and the A50 and close toTutbury & Hatton Rail Station) Telephone 01283 813396. Single en suite from £50 inc. cooked breakfast. Twin from £70. Delter Hotel 5 Derby Road, Burton upon Trent DE14 1RU. 01283 535 115 This B&B is in Burton upon Trent, a mile or so towards the venue from the Railway Station, on the main road going north out of the town. It is also within striking distance of the Museum of Brewing, Burton Albion FC, the Bilash Spice restaurant and the excellent Prince Alfred Pub and Great Northern pub (both have the same beer as the Burton Bridge Brewery and Inn). Derby station (direct London) is about 10 miles away. Connections are available to Burton but it may be better to get one of the express busses which run to Burton, visiting the villages along the way. to Rolleston on the hour, every hour. Journey times 34 minutes. From Burton station - Trent Barton V1 58 minutes past each hour. 17 minute journey. From Tutbury and Hatton Station - 5-10 minute journey on the Trent Barton V1. 25 past each hour. Return on V1, same times as to Derby.